The Federal Reserve Bank in New York estimates that the total amount of household debt in the United States has reached $13.21 trillion. Debt is something we’re all ashamed of. We want to live the perfect American dream, but circumstances haven’t always been present in the last decade to make that happen. So, we’ve had to beg, borrow, and (hopefully not) steal to get by. From credit card debt, mortgages, and auto loans to student debt, we’ve piled it on and can find ourselves drowning in it before even hit 30. 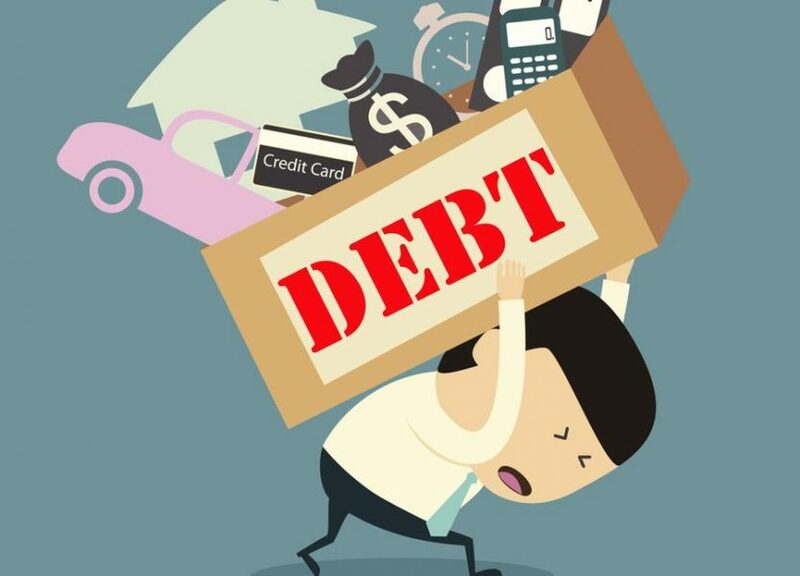 People who find themselves under mountains of debt struggle even more because they don’t know how to get out from it, especially if there’s a change in income. One of the most important things Americans need to have is savings stashed away for a rainy day. Yet, according to a survey, the vast majority of us don’t even have access to $400 if we needed it. That’s a scary statistic! You can’t gain financial freedom without having some money put away in case you need it. Believe, that day will come. That day could be today and you’d be out of luck. Talk to your bank and create a savings account where a certain percentage of paycheck is automatically deposited. You’ll also want to start an account that’s designed for spending. You’ll probably have to live as lean as possible to get through your debt crisis while saving money for an emergency, but if you have a few extra bucks, toss them into the spending account and they’ll add up. You can use that money for whatever you want. There are options out there designed to help you take care of your debts. Most people don’t even take the opportunity to check if they qualify for these options. Restructuring your loan can save you hundreds of dollars per month. Consolidating can combine several loans into one single payment. One good way to determine if you’re ready for a restructure is by your credit score. If you got a loan when you were younger and your score wasn’t that good, you probably were slapped with high interest. As your score improves, you can be trusted and have your interest lowered. If you wonder about qualifying for lower interest payments and whether you can consolidate, gives us a call here at Financial Helpers. We’ve helped thousands of people by negotiating better deals with their debtors and lowering their rates, saving them thousands. Call us at the number below today to see how we can help. If you have multiple loans and can’t consolidate them, then there’s a method available to help you decide which loan to tackle first. Garrett Gunderson, chief wealth architect at Wealth Factory, says the best way to do this is by using the “Cash Flow Index”. Take the balance of a loan and divide it by the minimum monthly payment. The answer should determine which loan is eating most of your cash flow and should be paid off first. If it’s below 50, then that’s a high cash flow loan. If it’s over 100, then you have a more efficient loan. The idea is to show you’re improving your debt to income ratio. Paying off the lowest cashflow loans first will help you do just that. You might think having an investment is a great way to secure future wealth, but at the current moment, it’s dangerous to do, especially if you have high debt. The debt is seriously risking your family’s livelihood and needs to be dealt with. If you can, the best course of action is to cash out and put the money towards your debt instead. “Money is so accessible and available. People have created a massive amount of debt because we’ve become a society that’s not about the cost of the purchase, but the payment behind the purchase. People look at what they might be able to afford based on the payment not considering any mishaps, emergencies or other issues that may happen along the way,” said Gunderson.